Yesterday, Audemars Piguet unveiled a new Michael Schumacher Limited Edition chronograph. 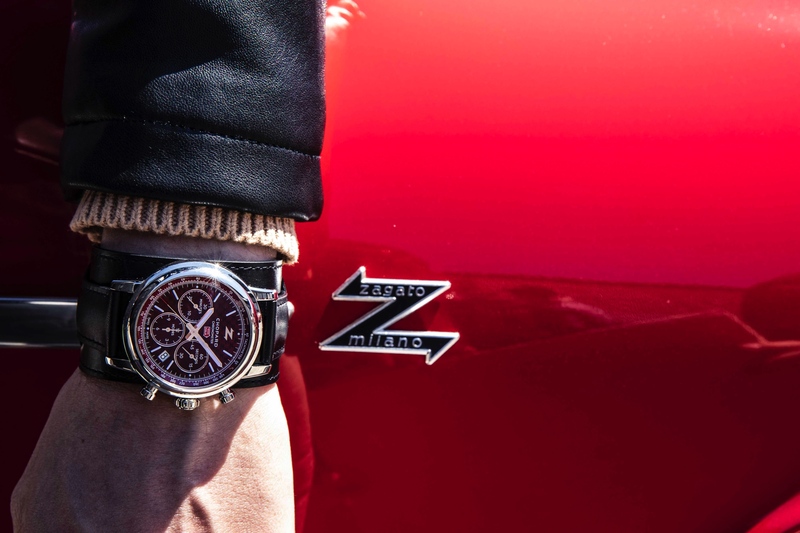 The last limited edition chronograph with Schumacher’s name on it was introduced in 2012 and was housed inside a Royal Oak Offshore case, powered by an existing caliber 3126/3840 chronograph movement. This time around, the watch is presented in a Royal Oak Concept case, and powered by an all new chronograph movement, with an unprecedented laptimer function, developed in conjunction with Schumacher and Audemars Piguet Renaud & Papi – specifically with racing in mind. The forged carbon case measures 44 mm in diameter and features a darkened titanium bezel. The dial is protected by a curved glareproofed sapphire crystal. The caseback is titanium with a flat glare proofed sapphire crystal. The screw-down crown is in brushed black ceramic with pink gold in the center. The flat pushepieces at 2 and 4 o’clock are in brushed black ceramic with pink gold centers, protected by darkened titanium guards. On the opposite side of the case, at 9 o’clock, is the flat laptimer pushpiece, which is in black ceramic, and signed with an engraved “MS” logo. Water-resistance is 50 meters. 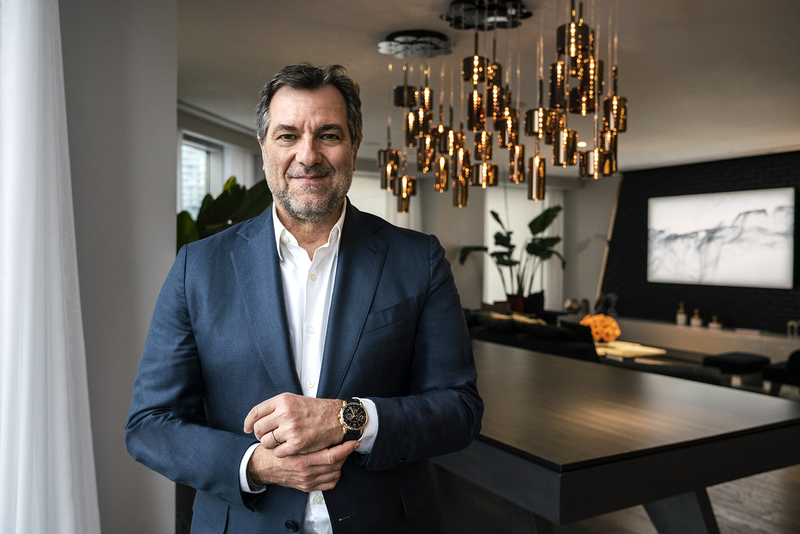 This type of timepiece represents the top end of horology, and while it will not be available to very many people in its current form – theoretically – the design will help watchmakers design more advanced features within more accessible watch collections at Audemars Piguet in the future. 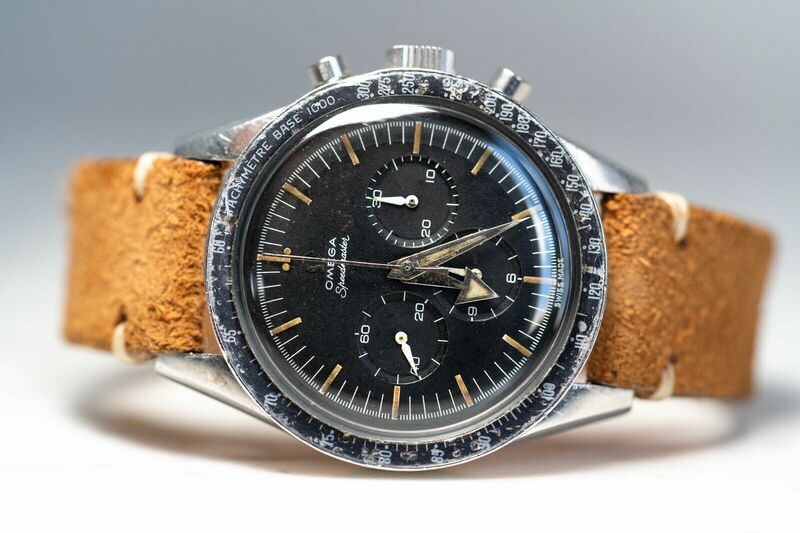 And in the meantime, for a lucky few, you can buy the world’s first chronograph with an independent lap timer function. 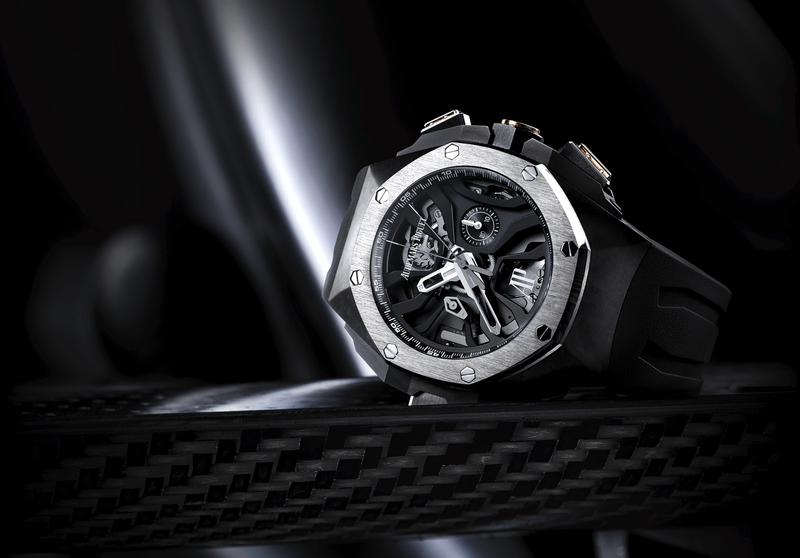 The Royal Oak Concept Laptimer comes with a black rubber strap with titanium AP folding clasp (Ref. 26221FT.OO.D002CA.01) and will retail for $229,500. It is limited to 221 pieces, which represents the number of F1 World Championship point-winning races in which Schumacher competed in over his career.